What are the risks involved in LASIK corrective vision surgery? If you are considering LASIK but worry about what can go wrong, be comforted knowing that complications are rare. It is exceptionally unusual for this procedure to cause permanent, or any significant vision loss. In the rare instances of complications, most of them can be resolved with additional laser “re-treatment”. Selecting your eye surgeon is probably the most important step you will take to decrease the risks associated with LASIK. Experience and reputation go together. S/he will make sure you are a good candidate for LASIK before a procedure is recommended and scheduled. If problems develop during or after the procedure, the surgeon works closely with you to resolve them. Confidence in LASIK has grown through the years because of the solid success rate involving millions of procedures globally. With increasing sophistication and advances in the LASIK technology, most LASIK outcomes prove favorable. Increasingly, refractive surgery in military personnel is viewed as a benchmark of safety and stability. Indeed, it appears that demand for refractive surgery in military personnel is exploding. Known as a force enhancer in military parlance, more than 312,000 refractive laser procedures have been performed by the Air Force, Army and Navy to date. The most common procedure is LASEK or PRK, but LASIK is gaining ground as more military studies examine its performance in aviation and combat situations. The rate of complications among military has also proven to be low. LASIK surgeons' well documented experiences prove that serious complication rates are well below 1 percent. This may be due to the fact that surgical candidates are carefully screened and thus pre-selected for success. Your candidacy for LASIK may be diminished, for example, if you are pregnant or have certain conditions such as diabetes which could affect your success or healing rate after LASIK. Be sure to discuss your health conditions and specifics with your eye doctor during your LASIK consultation or pre-op examination. Expanded eye pupils may be a risk factor for LASIK complications, since pupils expand in the dark and they grow beyond the area of the LASIK eye treatment. Be extra sure to discuss this and any other concern you may have with your eye surgeon. Although the vast majority of LASIK procedures are positive there is still that 1% or even a fraction one percent that has complications. 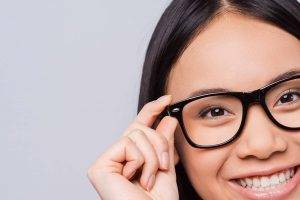 These patients may experience some serious and ongoing eye and vision problems after LASIK. The nature of surgery is that NO surgical procedure is ever risk-free. Some LASIK patients who test out with excellent vision nevertheless still may experience side effects. For example, a patient who sees 20/20 on the eye chart with post-LASIK uncorrected vision may still be experiencing glare or halos around lights. Be aware that signing the LASIK consent form in advance of your surgery is done so with the full understanding that, even in the best of conditions, there is still a slight chance something unintended could occur. Even so, most, if not all problems can later be resolved with corrective LASIK. LASIK complications can occur with the hinged flap which is created on the cornea (clear covering of the eye) during the start of the LASIK procedure. This flap is lifted to access and re-shape the underlying cornea with the laser. It is replaced afterwards as the natural bandage. If this cornea flap is not made correctly, it may fail to adhere to the eye during healing. The flap could also be inadvertently cut thicker than required or too thin. Once the flap is replaced back on the eye, special care must be taken to avoid wrinkling. Flap complications could lead to irregular shaping of the eye surface. Studies show that flap complications occur in 0.3 % to 5.7 % of LASIK procedures. Inexperienced surgeons definitely contribute to the high rates of flap complications. This is a reminder that you can improve your odds of avoiding LASIK risks by selecting a reputable, experienced eye surgeon. Irregular Astigmatism. This can result from a less than smooth corneal surface or from laser correction that is not centered properly on the eye. Resulting symptoms may include double vision or “ghost images.” In these cases, the eye may need re-treatment or “enhancement”. Diffuse Lamellar Keratitis -DLK. This problem has been nicknamed “Sands of Sahara”. It is an inflammation occurring underneath the LASIK flap post-surgery. In rare cases, DLK can lead to scarring of the cornea. Permanent vision loss can occur without prompt treatment. Therapies include antibiotics and topical steroids. The flap also could be lifted and rinsed to remove inflammatory cells and prevent further tissue damage. Ectasia or Keratectasia. This is bulging of the cornea occurring due to too deep a cut of the flap. When too much tissue is removed from the cornea during LASIK, or when the cornea has initially been weakened, as evidenced from corneal topography mapping prior to LASIK, Ectasia may result. The related distorted vision will likely not be correctable with laser enhancement. Rigid contact lenses or corneal implants (Intacs) may be prescribed to hold the cornea in place. Over correction, Regression or Under-correction. An overcorrection or undercorrection of your vision can result in your vision remaining slightly blurred from residual farsightedness, nearsightedness, or astigmatism. Regression, when your eyesight is optimal at first after LASIK, but then begins to deteriorate, is due to a return of some nearsightedness. This can usually be corrected with an enhancement LASIK procedure. Eye infection or Irritation. In rare cases, you may develop an eye infection, inflammation, or irritation requiring treatment with eye drops containing antibiotics or anti-inflammatory steroids. A highly common reported LASIK complication is Dry Eye. Almost half of all LASIK patients report problems with dry eye during the six months following their LASIK procedure. This discomfort could be related to the reduced sensitivity of the eye surface following LASIK. If you are experiencing Dry Eye you may benefit from artificial tears or prescription along with oral flaxseed oil capsules. By six months to a year post LASIK most of these complaints disappear once the eye has completed the healing process. Patients with a history of severe dry eye pre-surgery are typically excluded from being LASIK candidates. LASIK patients who successfully have the procedure during their 20s or 30s should be aware that reading vision will change as you get older. This has nothing to do with the LASIK surgery. It is naturally the result of normal age-related loss of eye focusing ability called presbyopia. Because of presbyopia, almost all LASIK patients (similar to all persons see perfectly well without glasses during their youth) will need reading glasses after age 40.